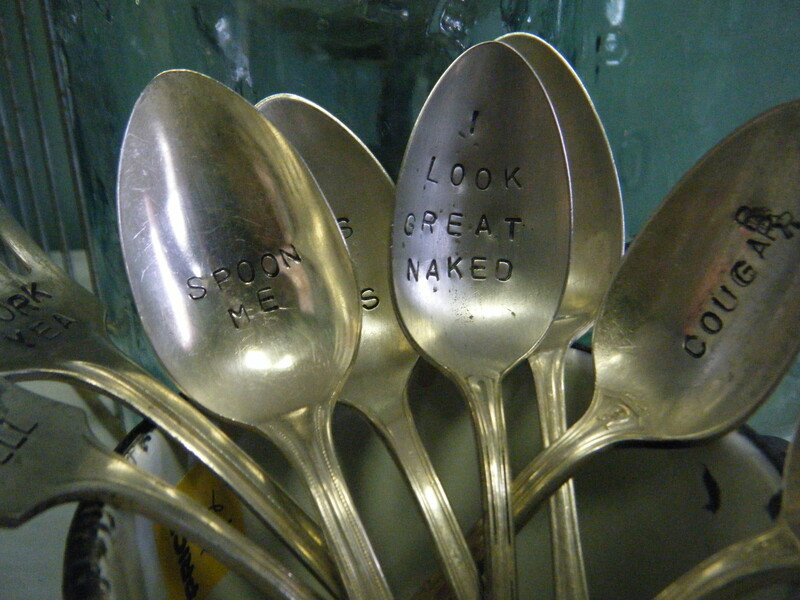 As you readers may know, I have an affinity for vintage mid century modern kitchen paraphenalia. The smooth, simple lines, bright, happy colors, and mind-blowing patterns make me want to don an apron and cook casseroles. 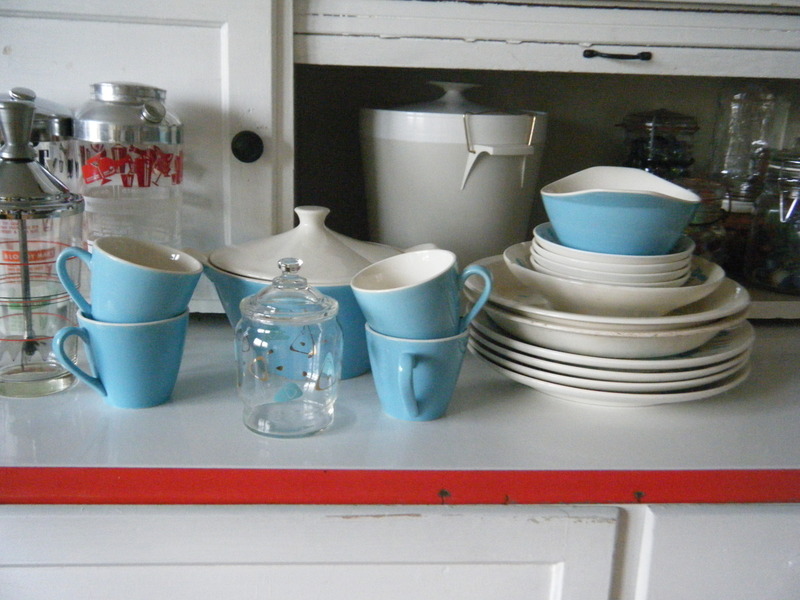 I recently brought home all the vintage Pyrex from the shop for my New Years resolution of using more vintage in the home. I can vow that these dishes have NOT sat upon a shelf but instead have been used to make many a quirky chicken and vegetable casserole for which Husband Chad has been the more-or-maybe-less willing test victim. So what do I need next? 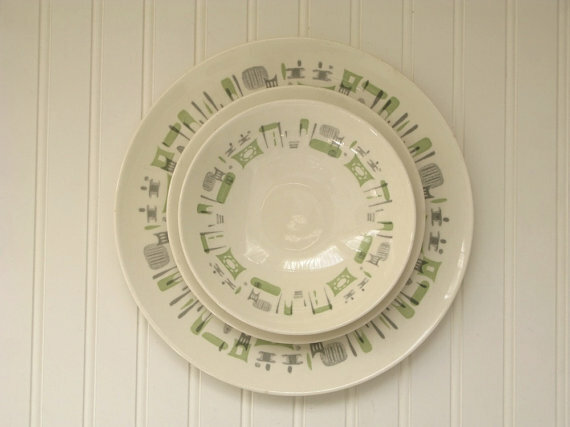 Vintage mid century modern dishes on which to serve my semi-edible dinner experiments, of course! 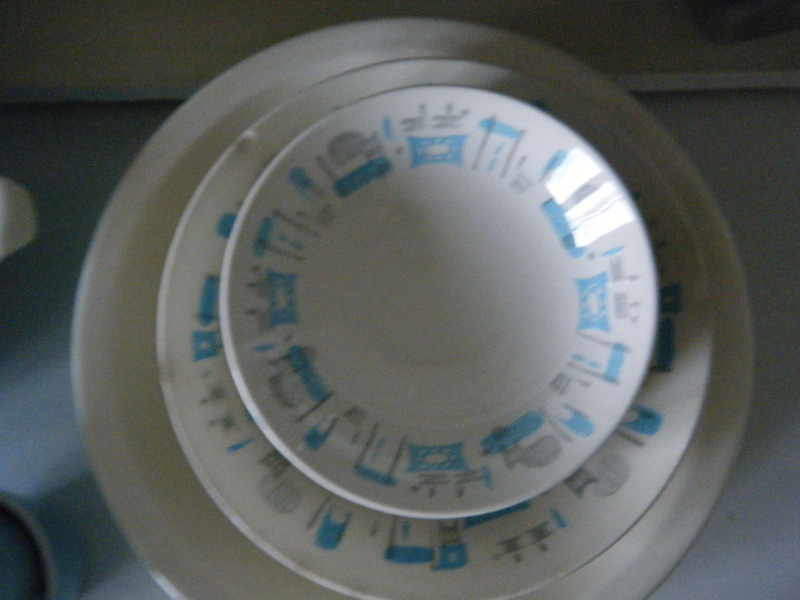 I settled upon a simple set of Royal China Blue Heaven dishes I spied hidden in a box lot at a local online auction. 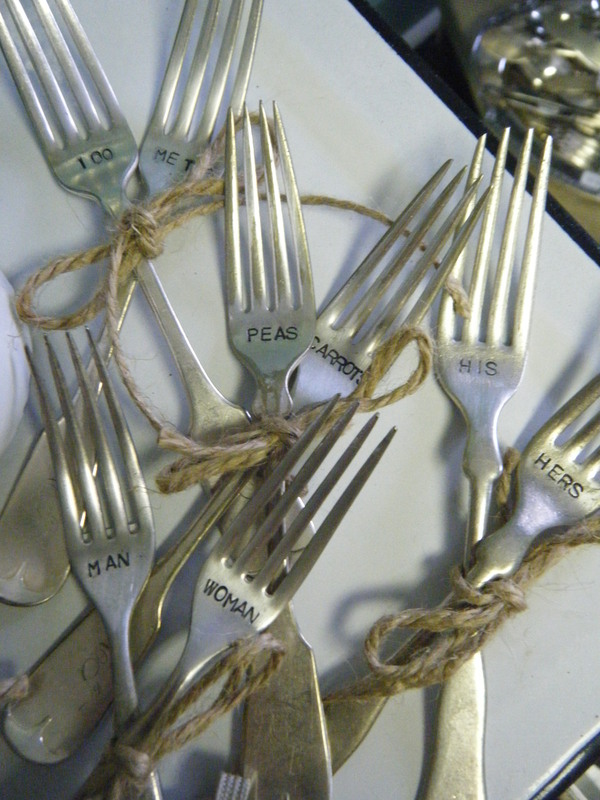 Because the Auction gods were feeling generous, I won this four place setting set for a great deal!!! Victory! 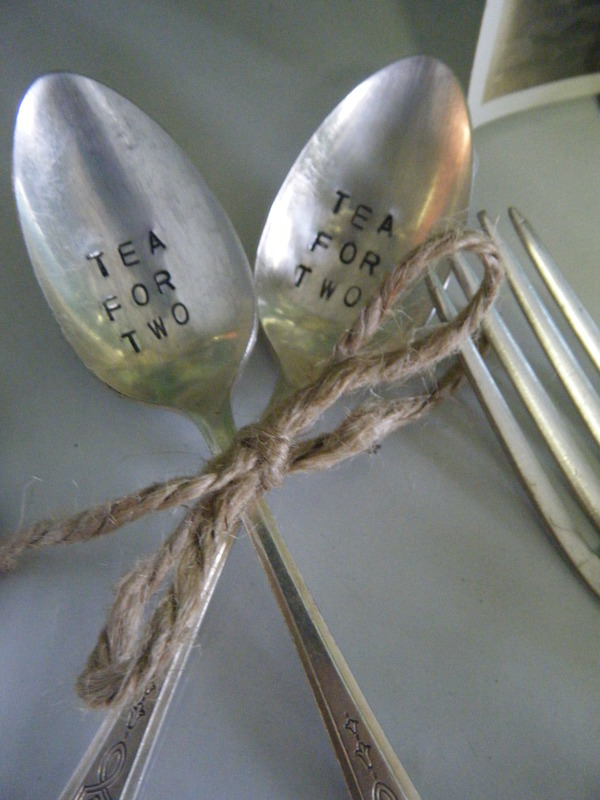 Ok, so now that I have the dishes, I need utensils! (See how this can snowball?) So I thought back to a trip Husband Chad and I took to St. Louis, Missouri and visited the infamous Antique Row on Cherokee Street. 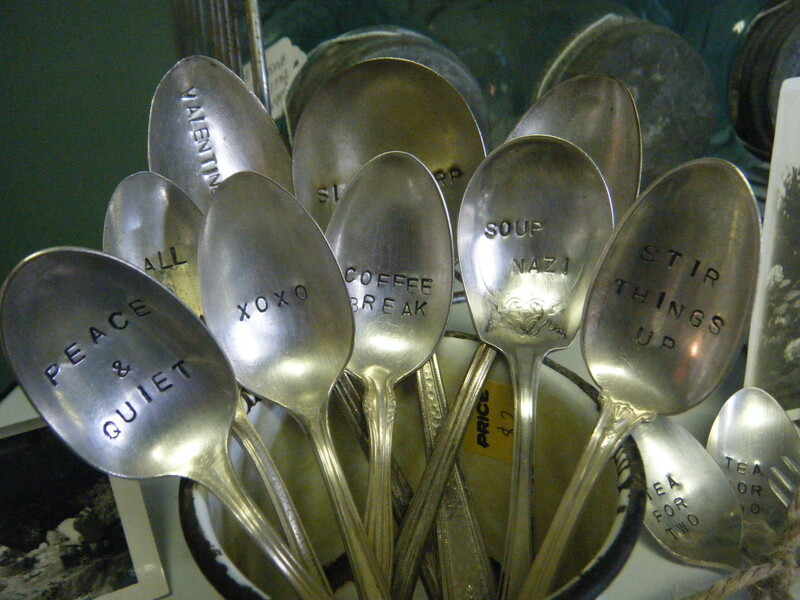 There was this little vintage shop that had the coolest turquoise-handled flatware that I would have purchased if the shop owner hadn’t been the grouchiest S.O.B. on the planet! I can’t blame him though…I can only empathize because I would have acted the same if a yuppie hipster came into my shop and asked about the price of an unmarked treasure I didn’t really want to sell but knew I should…I know…it doesn’t make much business sense, but we’ve got problems. 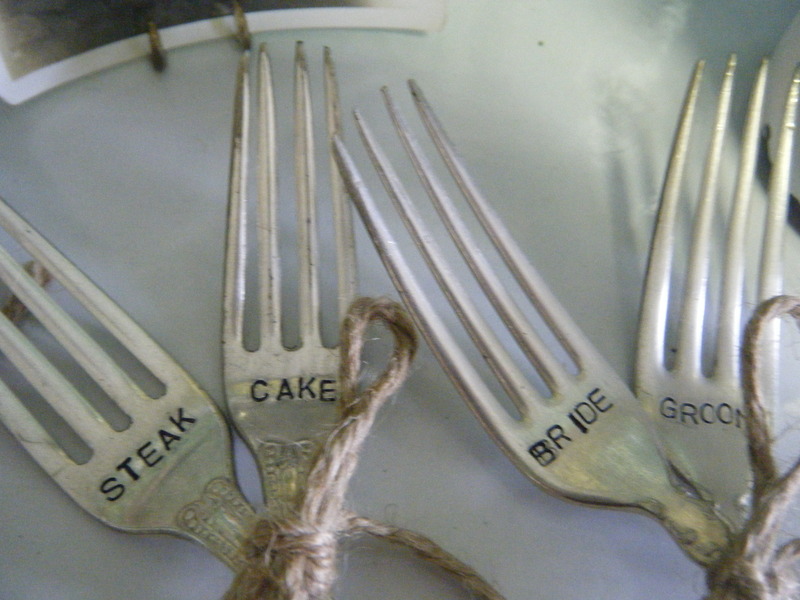 So I passed on what I later learned was a set of turquoise-handled Castle flatware for $65. Instead, I went home and fished through my inventory and found that I owned several pieces collected from my own picking adventures. 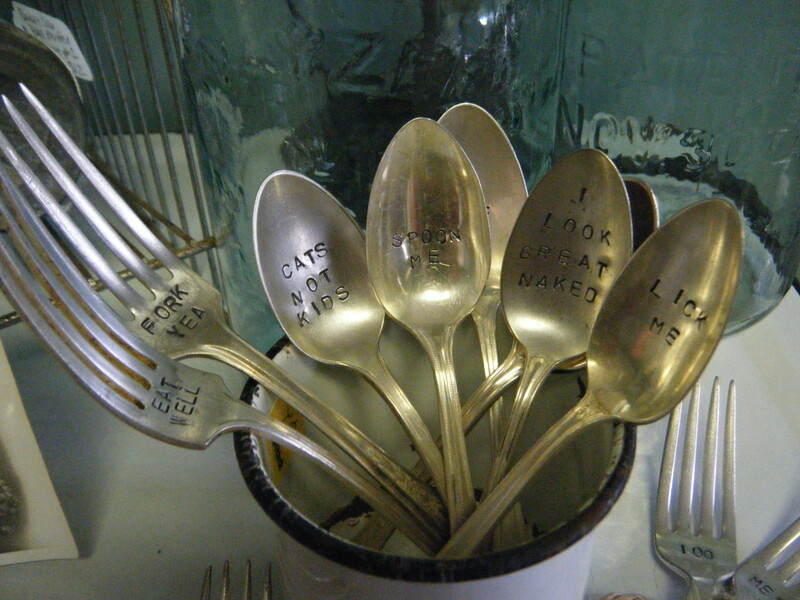 Well, hell…now I had to complete the set to go with my dishes, so I turned to eBay where I found the BEST eBAY seller ever!!! I will call him Retro Randy and his eBay seller name is semoretro. Check him out…unless you plan to bid against me…then buzz off! 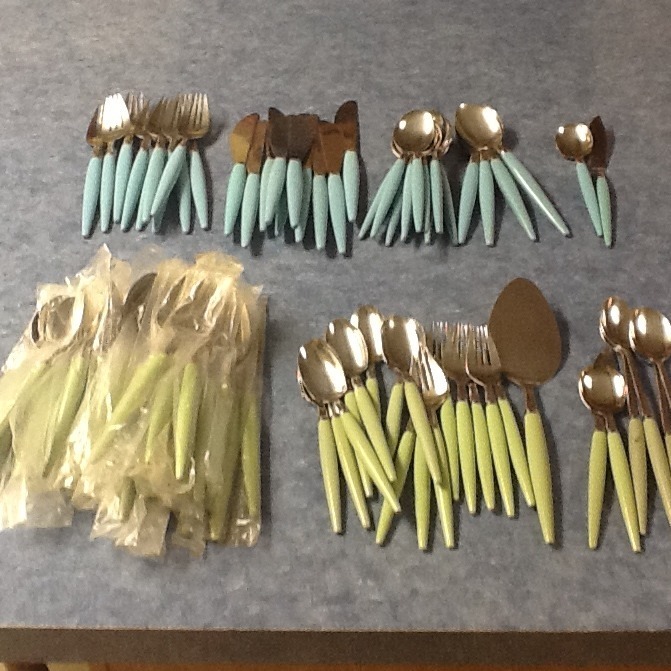 Retro Randy had a lovely set of the exact same turquoise handled flatware for sale online as I found in Missouri. I bid but stupidly left my computer screen 30 seconds before the bidding ended (so that I could watch a new episode of Market Warriors) with naive confidence that I was the only one like me out there who wanted the set, and, inveitably, LOST the auction! So, like a baby, I eBay messaged a whiny rant to Retro Randy about my regret of losing (because who else cares???) and lo and behold, Randy understands!!! Not only does he understand, he tries to HELP me!!! 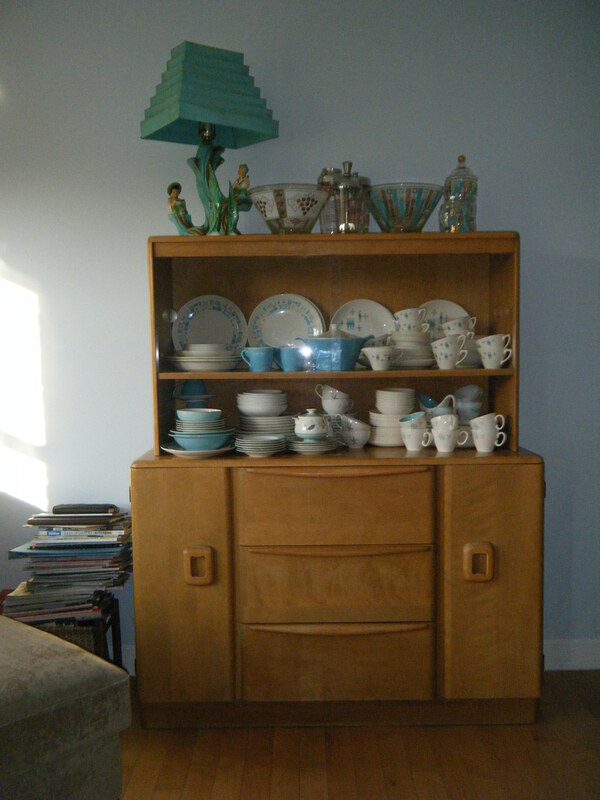 Retro Randy pulls out, not only his extensive collection of turquoise-handled vintage Castle Flatware, but also offers me a look at his lovely green-handled Castle as well!!! 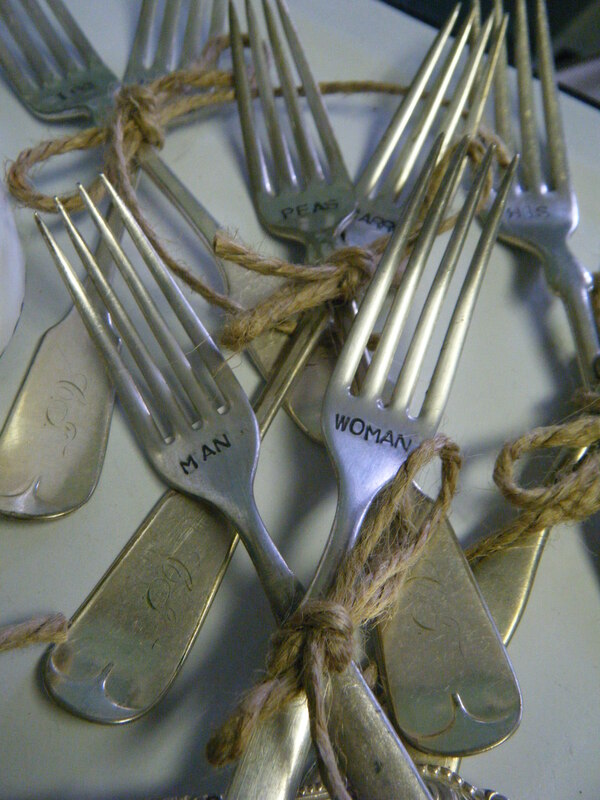 We struck a deal and the most awesome set of flatware ever was delivered to my door via USPS within a week. 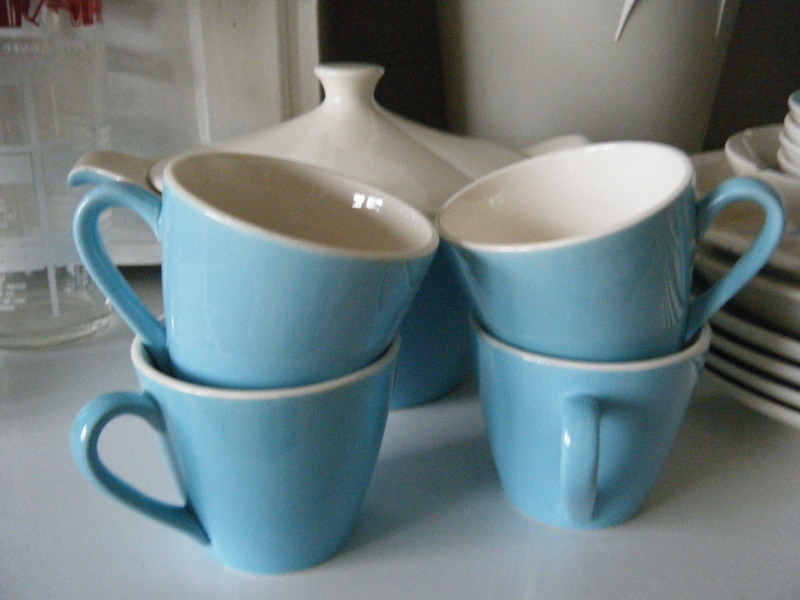 The turquoise handled Castle matches the Blue Heaven dishes perfectly and the sea foam green handled Castle matches the elusive Mojave Pattern Royal China, which looks exactly like the Blue Heaven, but instead of having blue abstract design elements, they are sea foam green. So of course, now I gotta have me some Mojave…. Anyway, the real point to this post is to ask for help from you readers with solving a mystery. Retro Randy is a really cool guy who helped me get a great deal on some awesome vintage flatware, but not without a little smack in the face. 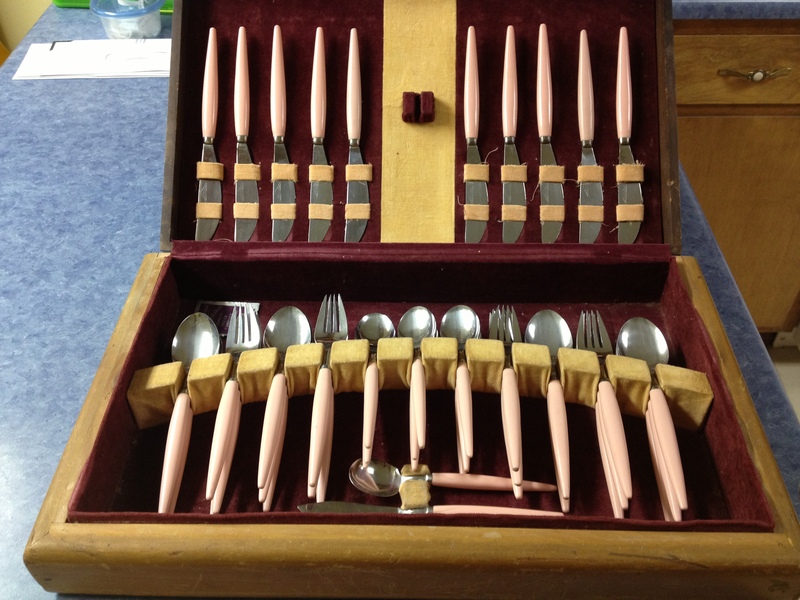 You see, Randy also sent me some pictures of a complete in-the-box set of PINK HANDLED CASTLE that, as far as we can both tell, is the only set of pink Castle flatware on the planet. Neither of us has ever seen it anywhere nor can we find out anything about it on the internet. And of course the smack in the face is the fact that he won’t sell it to me, but I can’t blame him :). So if you have pink Castle or know anything at all that will help us learn more about it, please comment, send pictures, emails, phone calls, whatever! We want to hear from you!! !